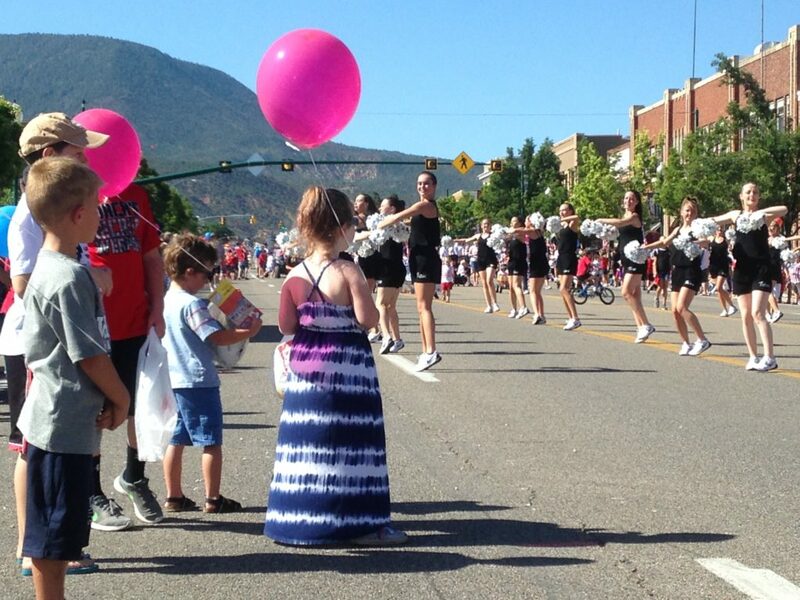 CEDAR CITY — Smiles on young faces. 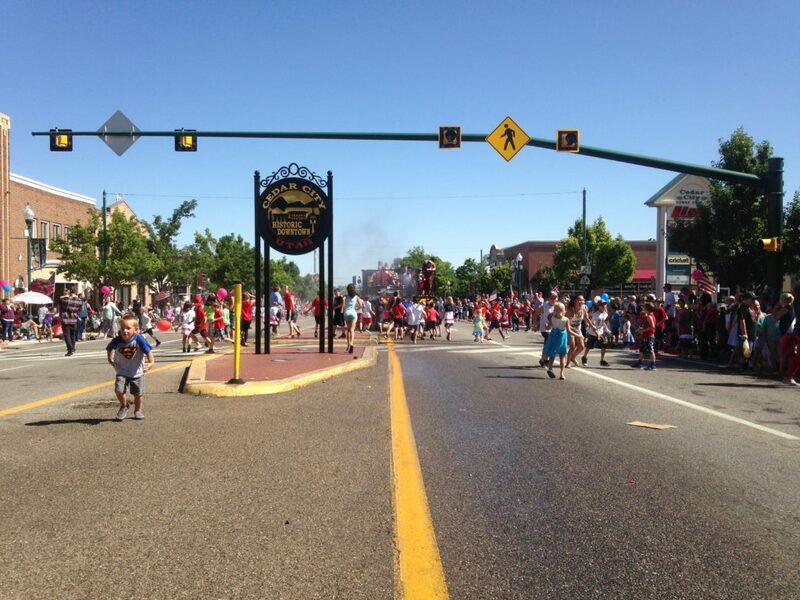 The smell of sunscreen more present on the sunnier side of Main Street. 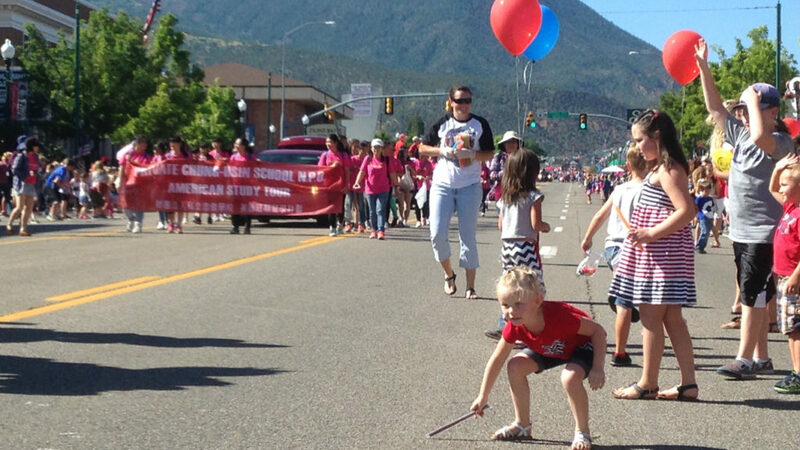 Red, white and blue balloons and flags as far as the eye could see. 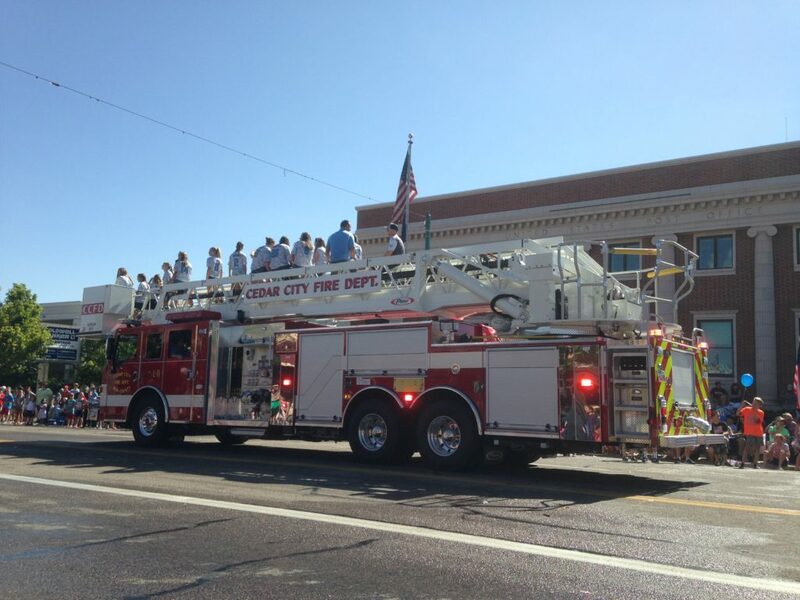 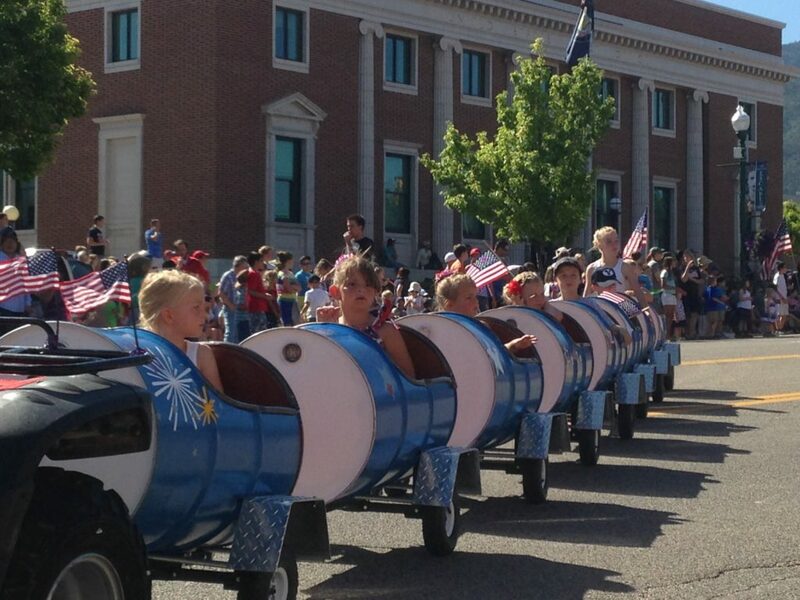 All of these things combined Monday morning for the Cedar City Independence Day celebration and lent a sense of small-town Americana to the festivities. 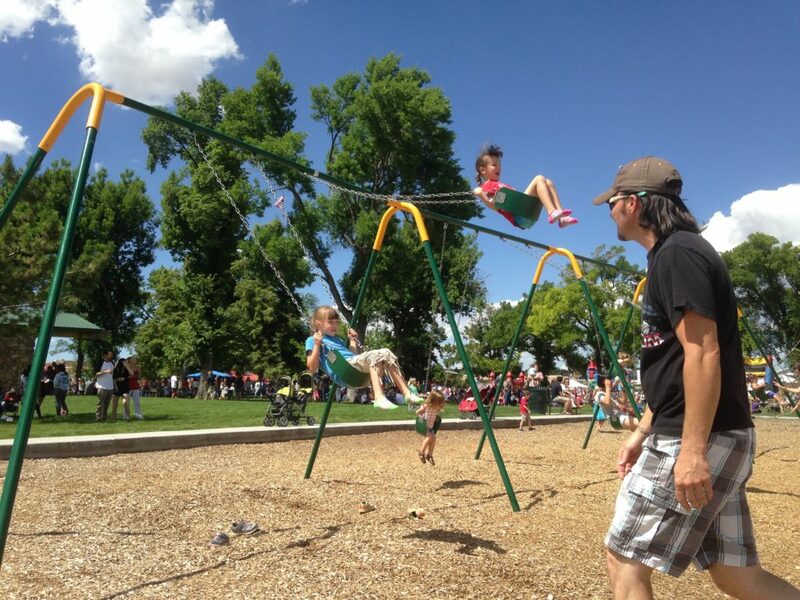 With the temperatures just tipping the 80s and a light breeze in the air, the weather was perfect for bringing out the family. 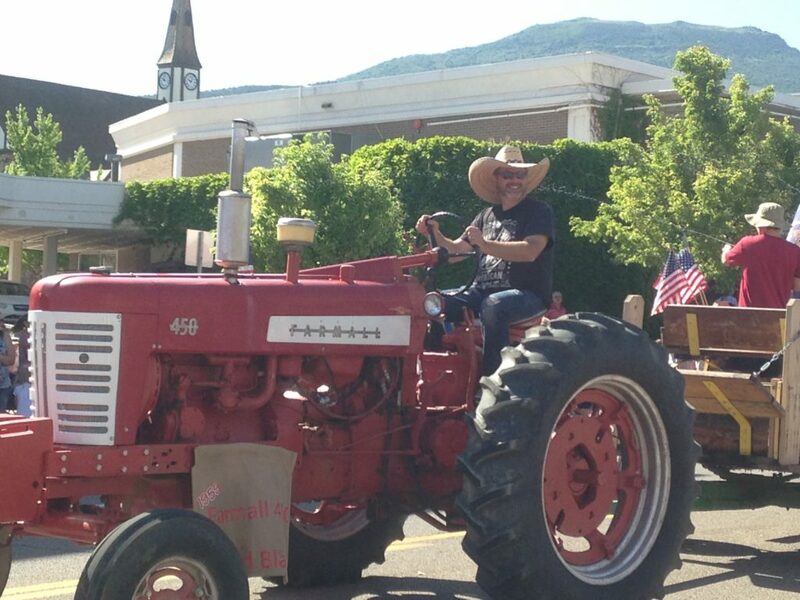 One such family was the Campbells. 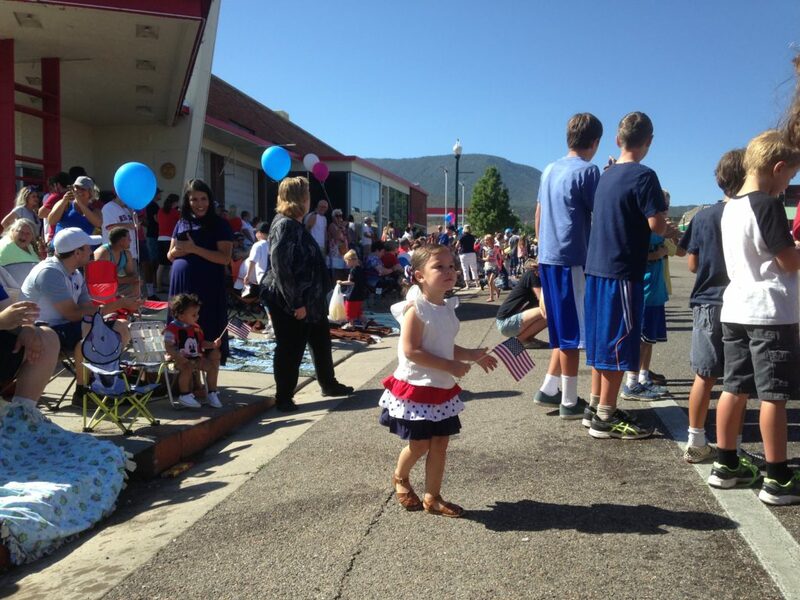 Brian Campbell was in Cedar City with his wife, Veronica, and daughter, Eliza, for a family reunion. 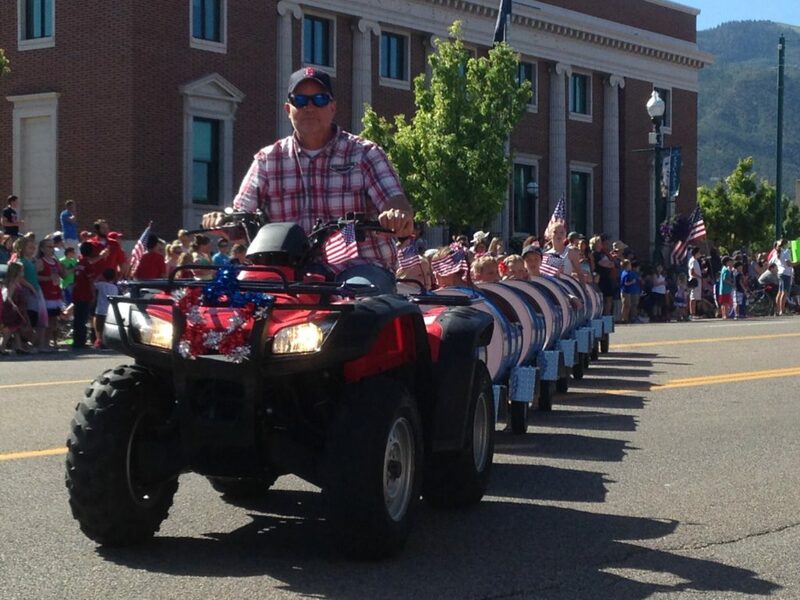 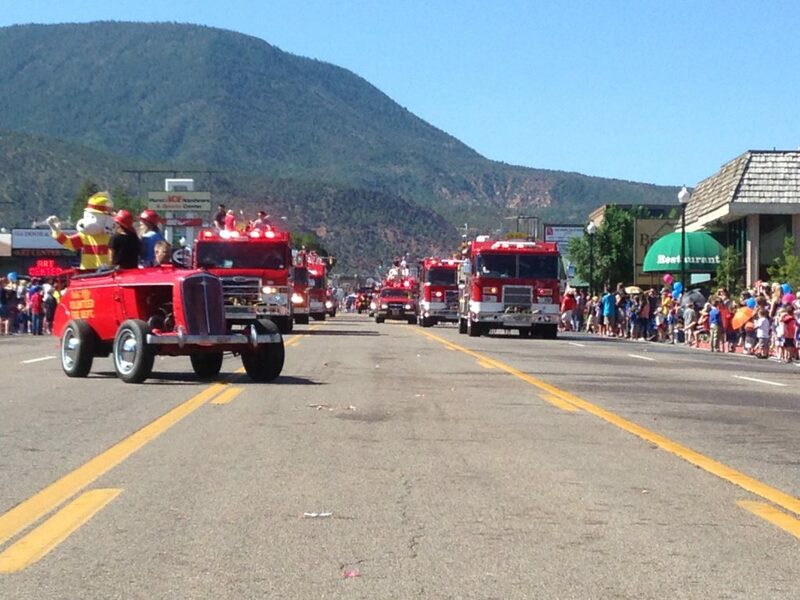 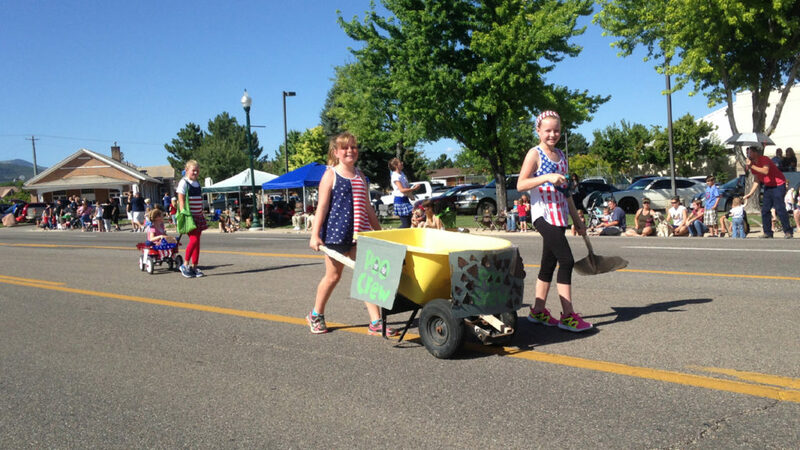 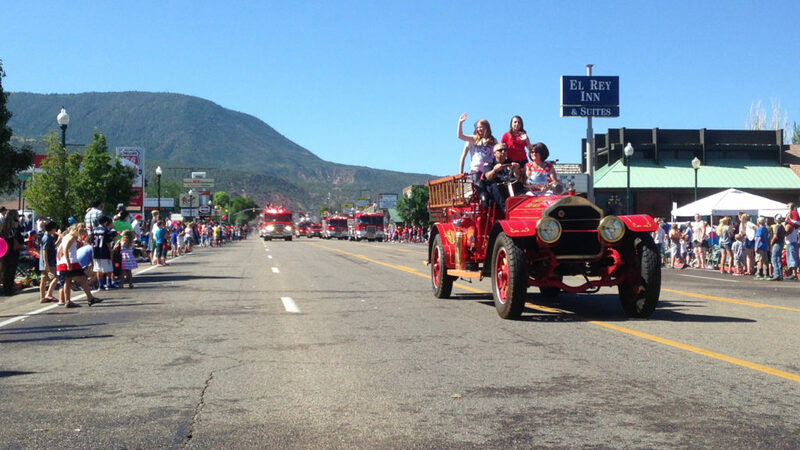 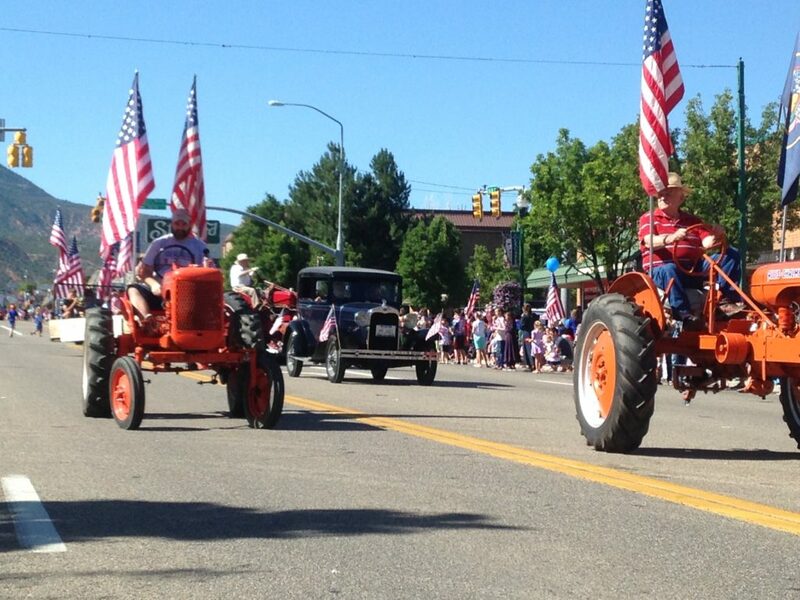 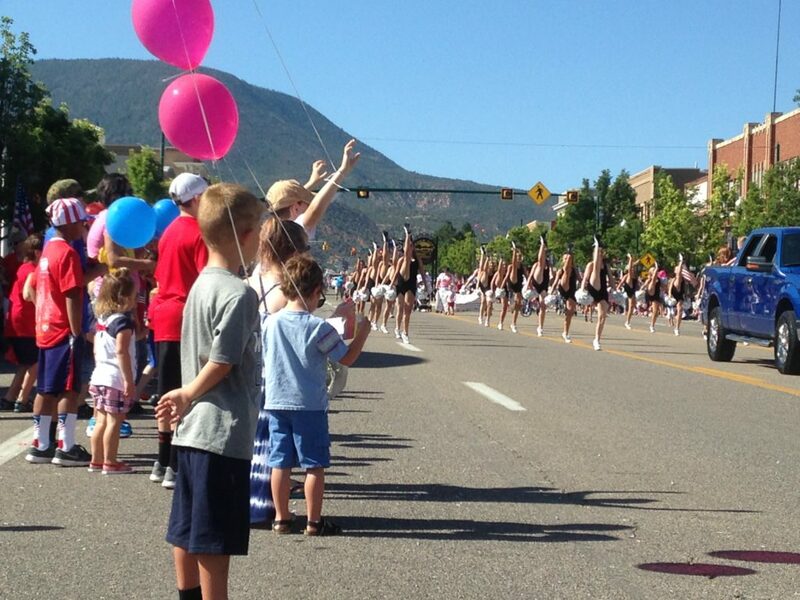 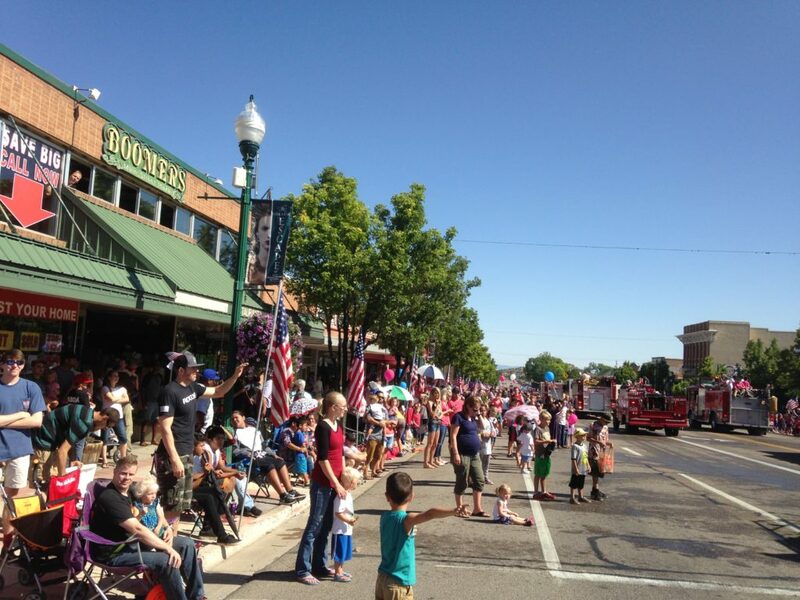 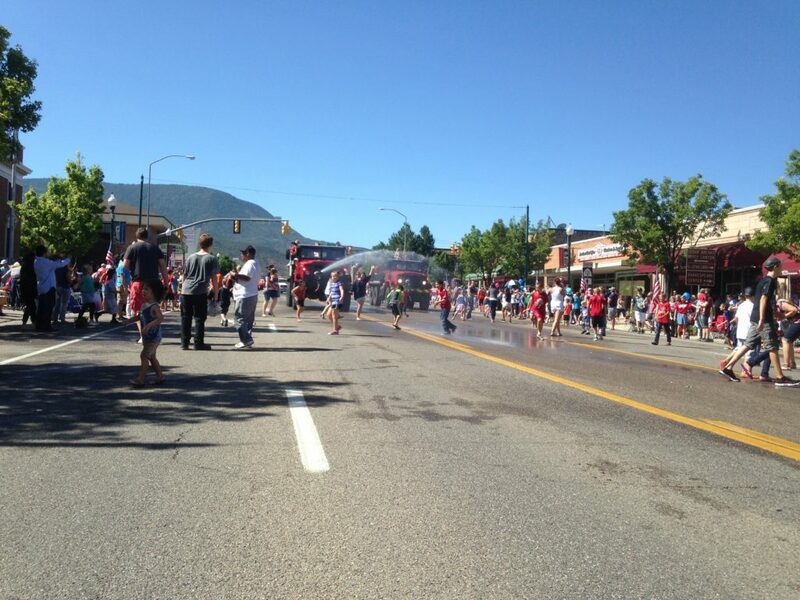 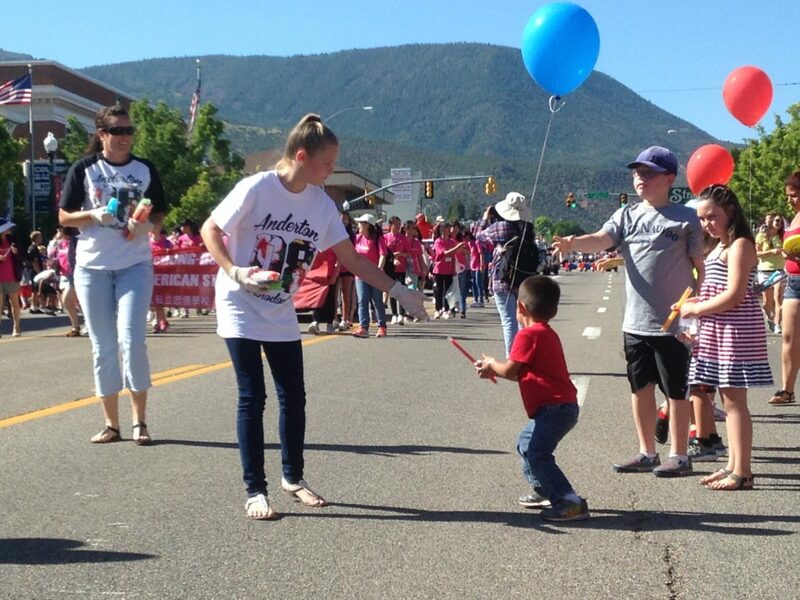 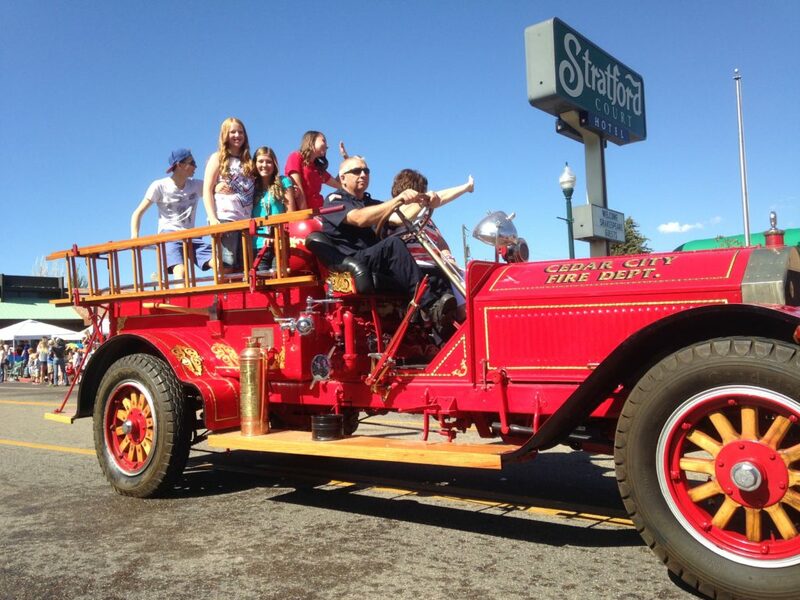 While the Campbells currently live in Bountiful, Brian Campbell grew up in Cedar City and said his favorite memories of the Fourth of July involve the parade. 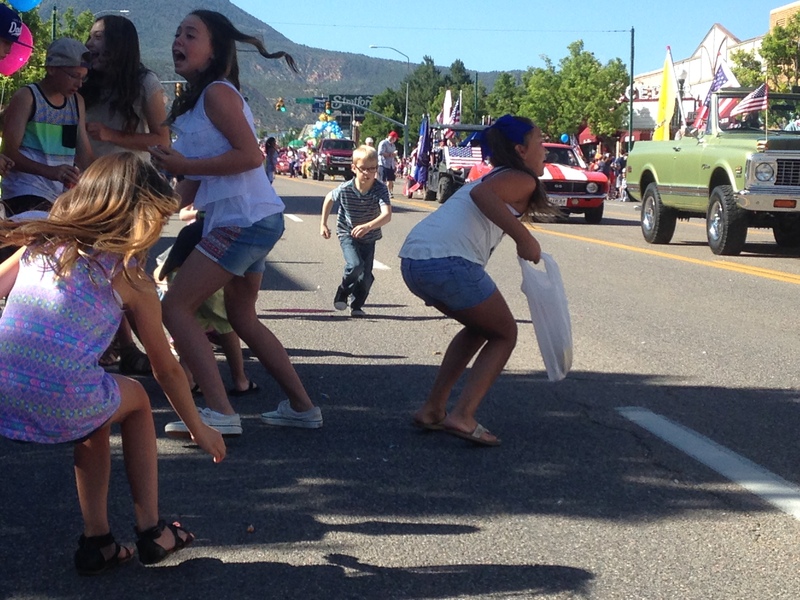 For Brian Campbell, it wasn’t the big fireworks show put on by the city that he remembers the most but rather the smaller neighborhood gatherings. 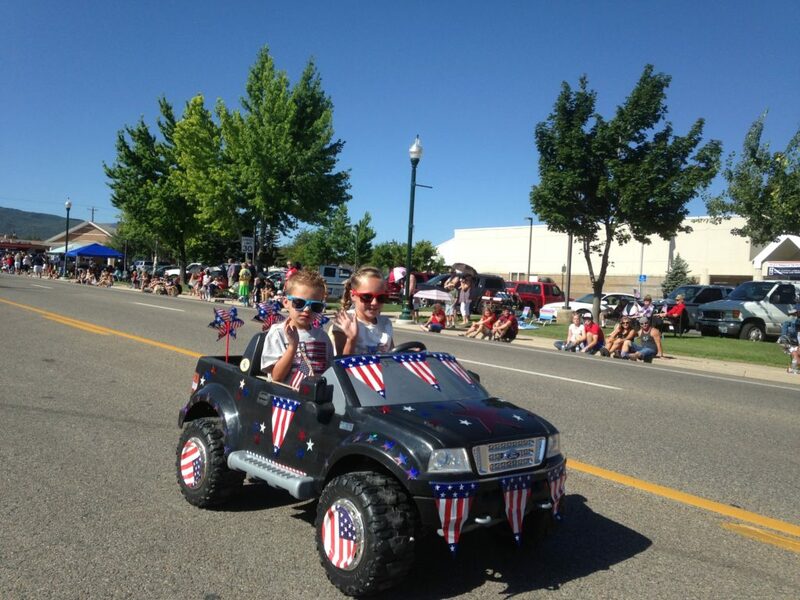 Brian said he believed it’s important on Independence Day to remember our freedoms and those who have sacrificed for those freedoms. 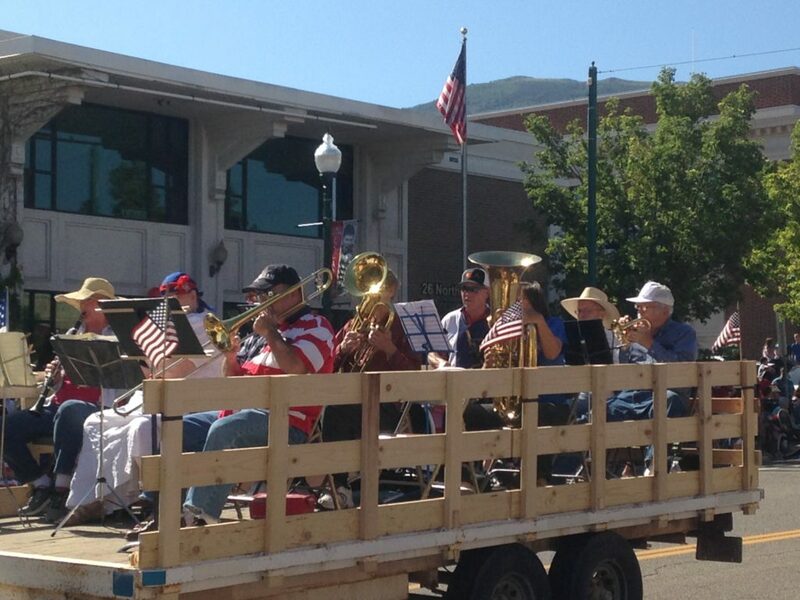 Joe Godwin, a member of the Cedar City Lions Club, would agree with Brian Campbell’s sentiments. 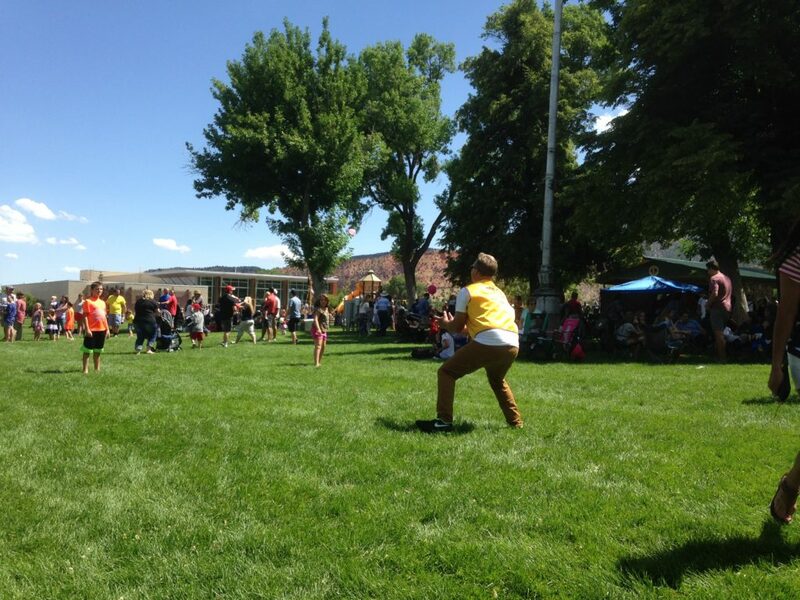 Godwin took a break from a water balloon toss with some kids to talk to Cedar City News. 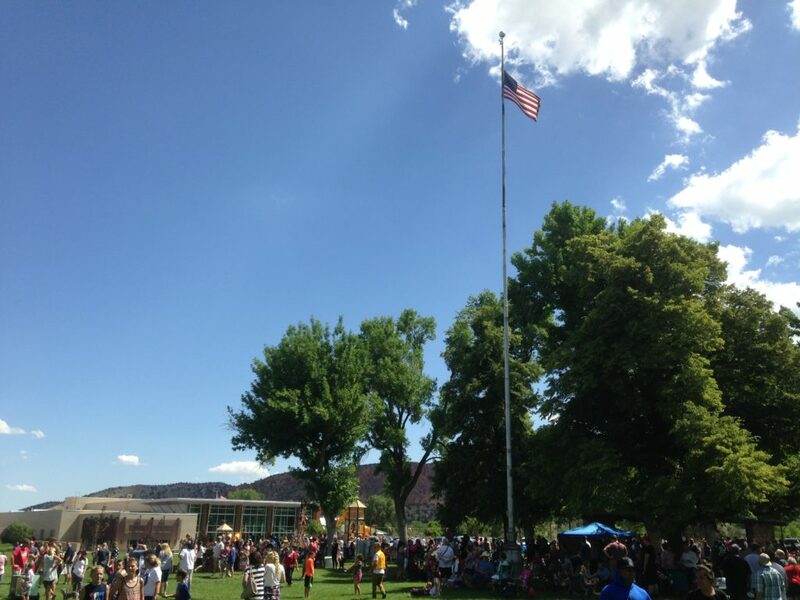 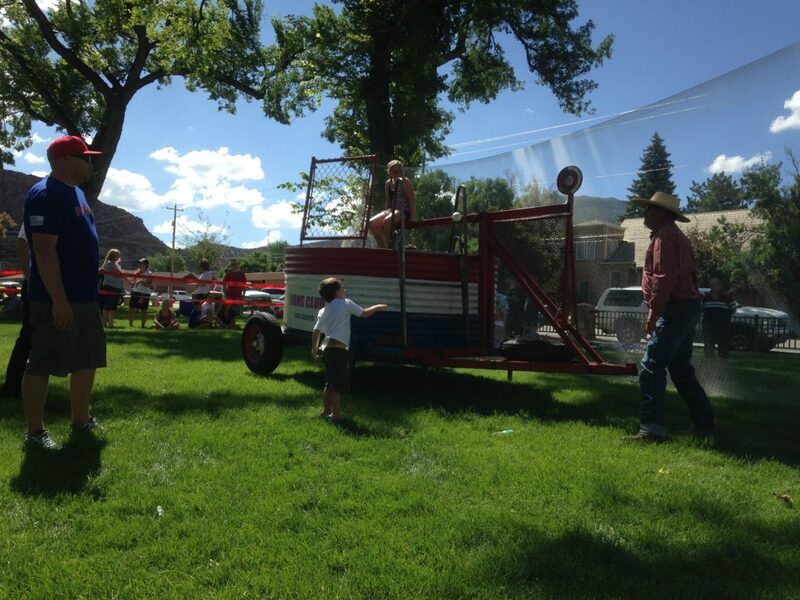 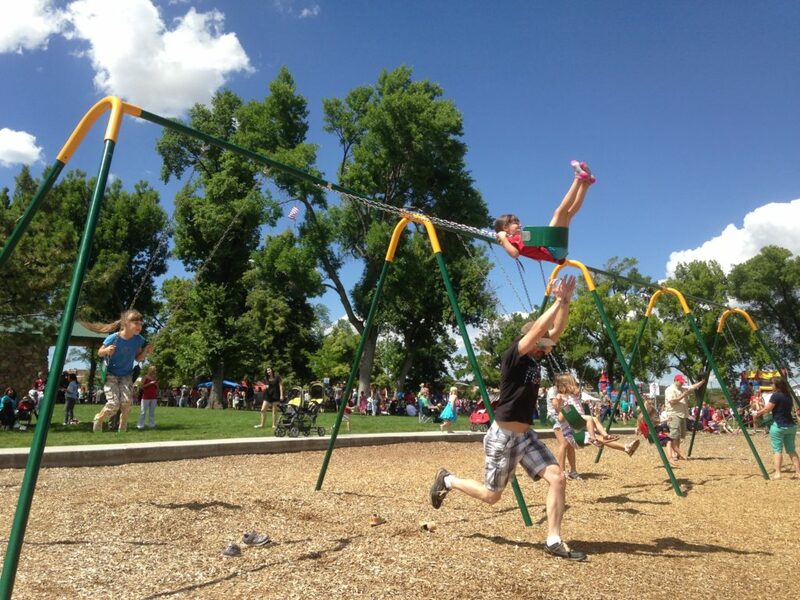 The Cedar City Lions Club has sponsored both the Fourth of July parade and events in the Main Street Park for 58 years. 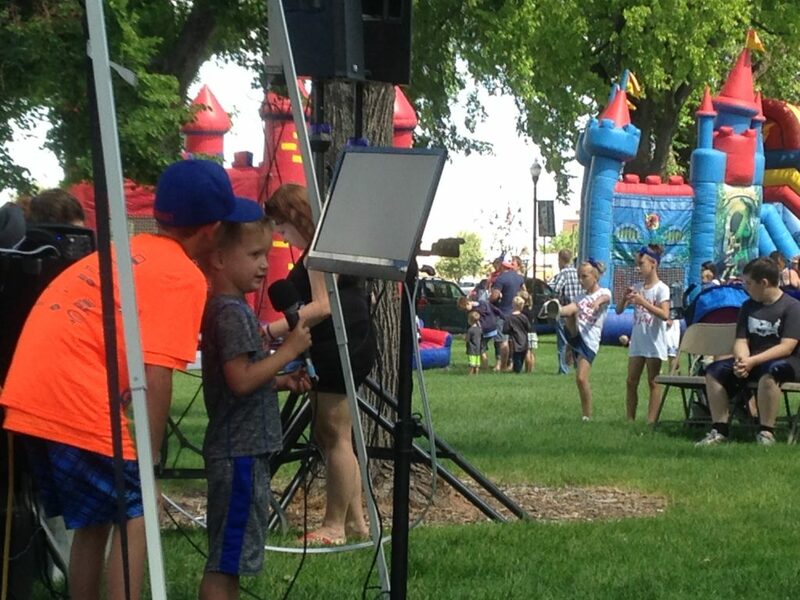 Fun Time Inflatables provided all of the bounce equipment on Monday, but the booths were all run by the Lions. 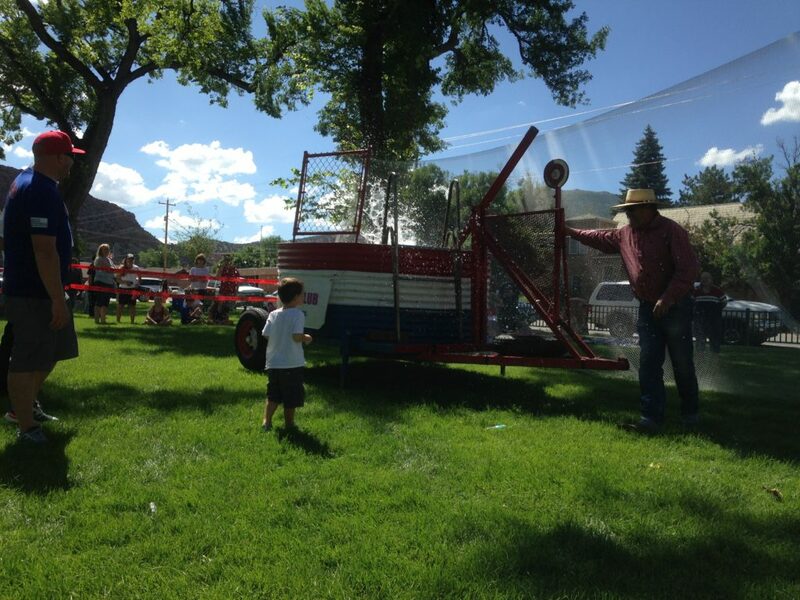 Godwin, who called himself “The Free Guy,” was in charge of coming up with the free games, including the water balloon toss (which he lost to a young girl), a three-legged race and bag race, among others. 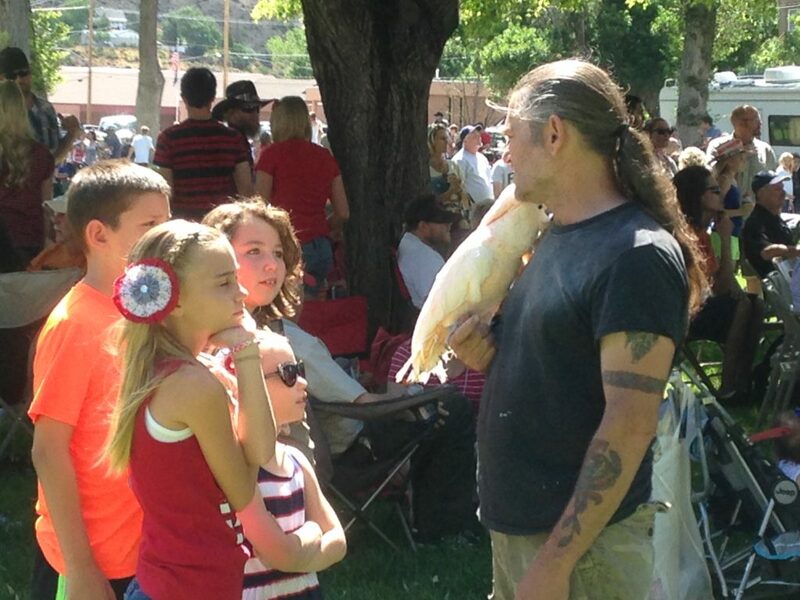 Godwin has been in Southern Utah since 1994, and he knows a little something about engaging and bettering the community and how the whole family has to be involved. 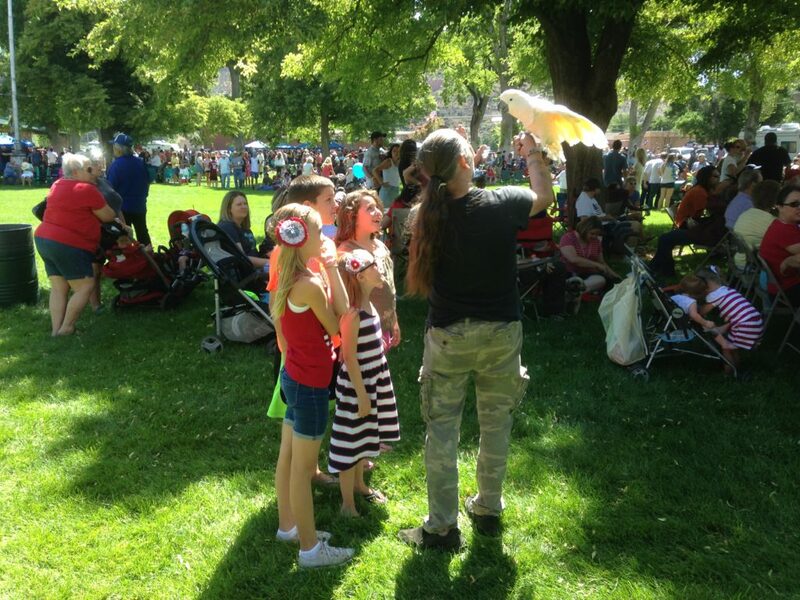 In addition to being a member of the Lions, as an optician with Mountain Eye Institute, Godwin said the “Kite Flight for Reading & Sight” program sponsored by the Lions Club is one of his favorites. 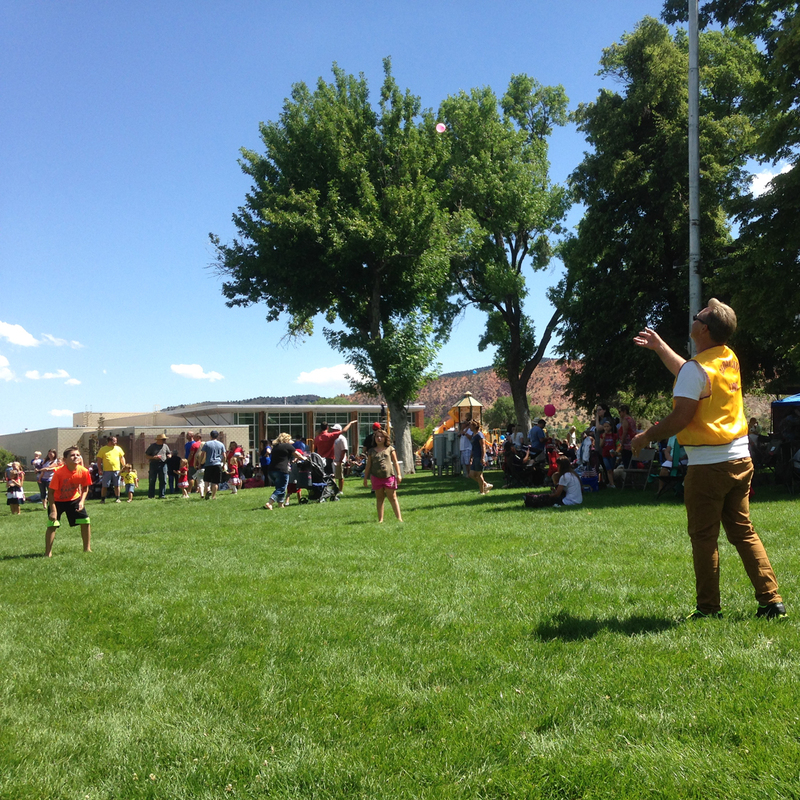 Kite Flight for Reading & Site works in cooperation with the Iron County School District, with kids filling out a reading chart and receiving various prizes at the end of the school year. 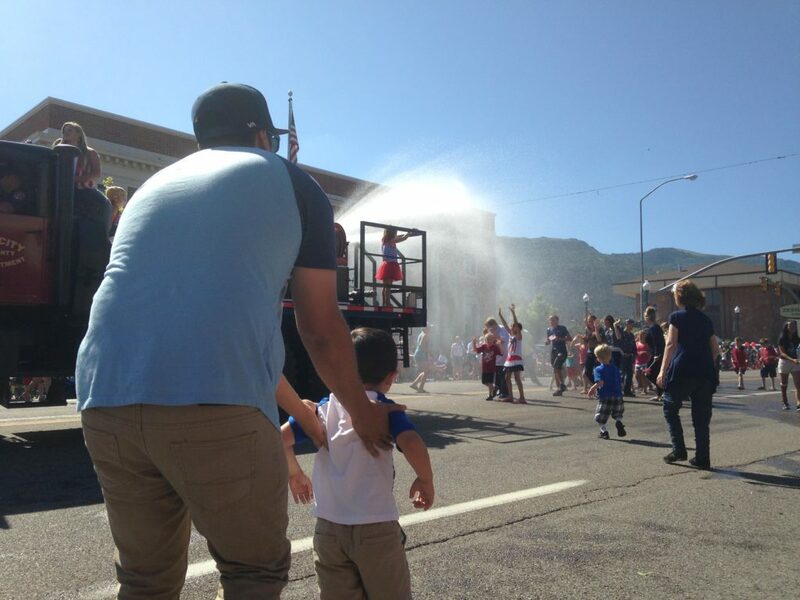 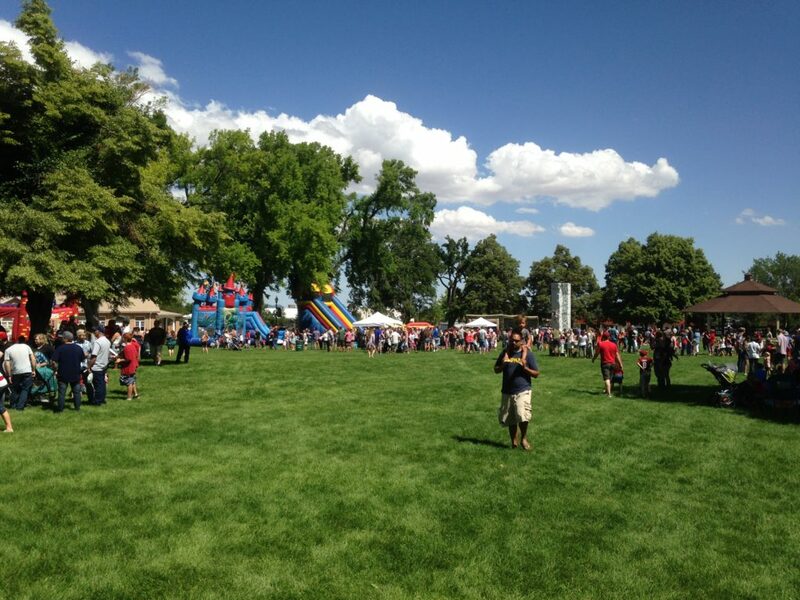 Godwin said he grew up in a big city and appreciates the atmosphere he has found in events like the Cedar City Independence Day celebration more so than those from his younger years.